Giới thiệu bộ phim: "Pokemon Movie 09: Hoàng tử biển cả 2007 - Pokemon Movie 9: The Temple Of Sea"
Legends tell that whoever wears the Sea Crown will be called the King of the Sea. Phantom the pirate desires the treasure and will stop at nothing to acquire it, and to do so he must obtain a Manaphy egg; for it is said that the Manaphy knows the way to the Temple of the Sea, where the Sea Crown is held. 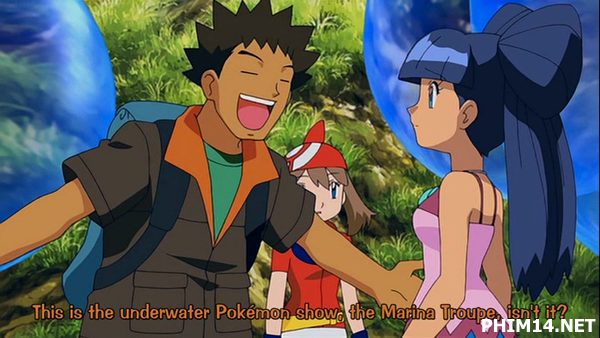 With the help of a special Pokemon Ranger - a person dedicated to protecting Pokemon and nature - Ash, Brock, May and Max will try to keep the Manaphy safe and stop Phantom from carrying out his plans!